Home > Green car news > Uncategorized > Electric Nation completes the world’s largest EV Smart Charging trial! Electric Nation completes the world’s largest EV Smart Charging trial! By the time the Electric Nation project ended in December 2018 data had been collected from more than 140,000 electric vehicle (EV) EV smart charging events. Analysis suggests that there is likely to be sufficient flexibility to manage charging away from peak electricity demand periods. Initial findings show that on average, vehicles are plugged in for over 12 hours, but they are rarely charging for the full time. Other conclusions from the project suggest that the average charging event starts with the battery already more than 50% full and EV owners only charge their EVs three times a week. Electric Nation, which is the largest smart charging trial in the world, has been collecting data to expand understanding of the impact of the home charging of EVs on the local electricity network, and to evaluate the reliability and acceptability of smart charging to EV owners. Over the 18-month trial EV owners were involved in tests of smart charging strategies. These included the use of apps to encourage driver interaction with smart charging systems to minimise disruption to planned EV journeys, and offering incentives to encourage EV owners to opt to charge their EVs when network congestion is low (e.g. overnight rather than early evening). The trial recruited 673 plug-in EV drivers who represented a cross-section of plug-in vehicle types, with over 40 different makes and models of EVs taking part, including plug-in hybrids and fully electric vehicles, and a selection of battery sizes. The project monitored participants’ charging habits to gather data on plug-in behaviour including frequency, length and amount of energy consumed. 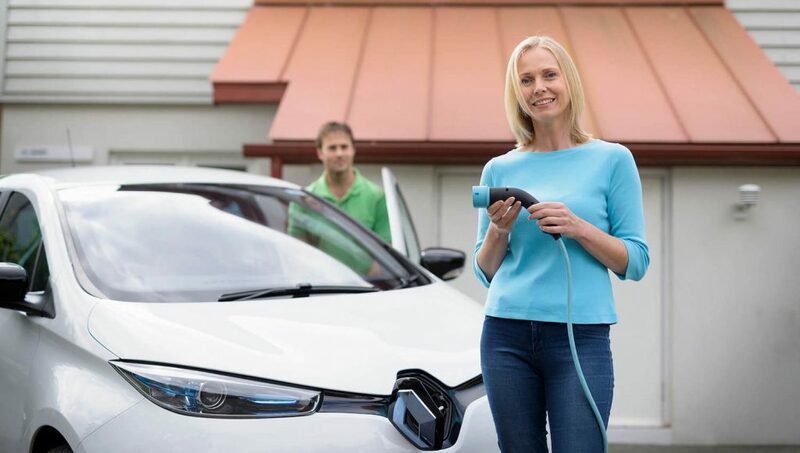 The trial will help Western Power Distribution improve its understanding of the impact of EVs on its networks and how this impact could be reduced using smart chargers alongside customer incentive schemes. The Electric Nation project team is now busy analysing data, writing reports and organising events to disseminate the findings. Information will be available on the project website (www.electricnation.org.uk), where people can sign up for the Electric Nation newsletter, and news will also continue to be shared on Twitter (@ElectricNation_). The Electric Nation trial took place in the WPD network areas in the Midlands, South West and South Wales.